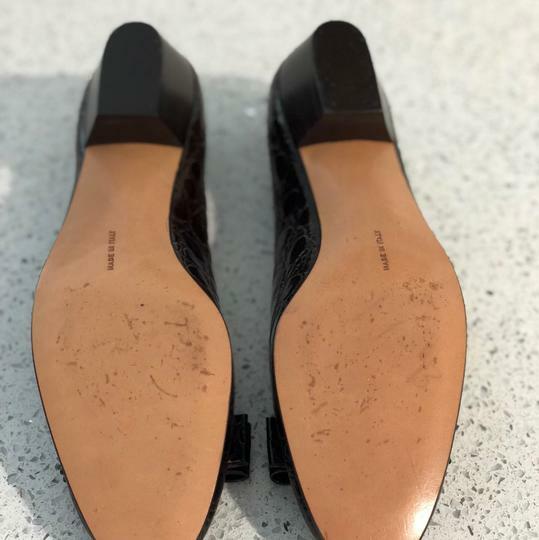 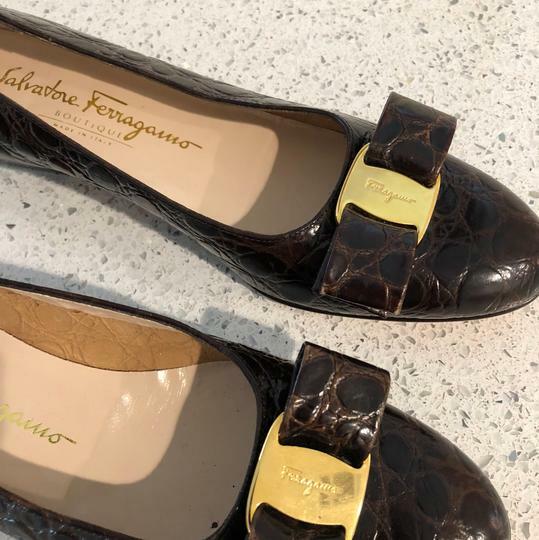 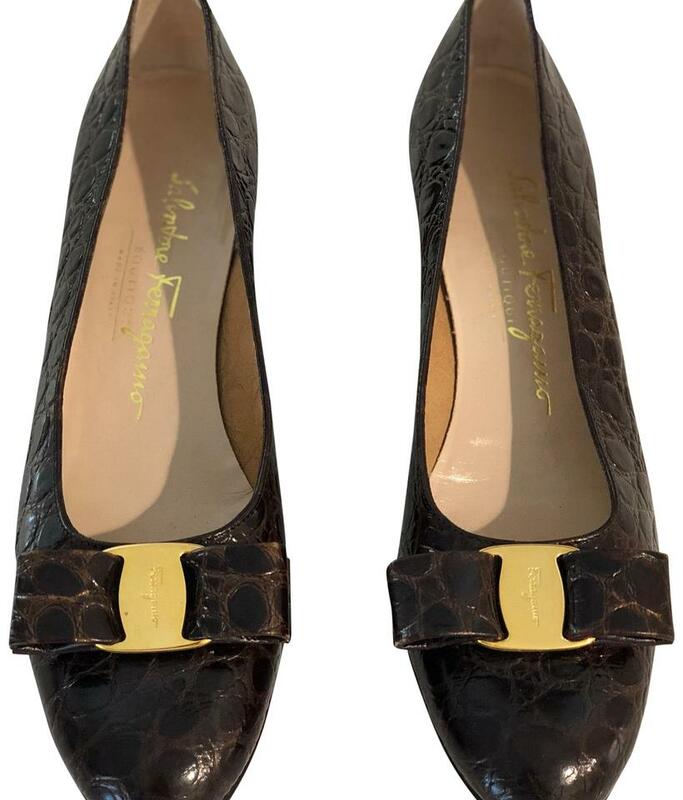 Fabulous Ferragamos. Classic low stacked wood heel with bow buckle detail at toe. 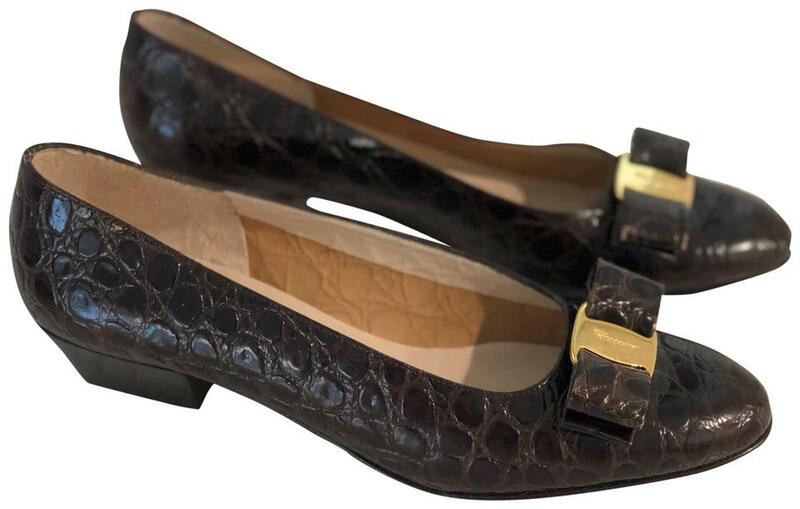 Brown crocodile leather.